Deepen your learning by also attending the Getting Started on Personalized Competency-Based Systems Workshop workshop on April 25–26, 2019. High Reliability Organizations (HROs) continually pursue error-free performance and take proactive steps to prevent failure. In the era of accountability, schools are expected to be HROs. The Marzano High Reliability Schools framework provides a clear blueprint for this purpose. This workshop will introduce school leaders to five levels of high reliability schooling and the use of leading and lagging indicators as tools for strategic planning and monitoring school progress. Learn and use the concepts of leading and lagging indicators as tools for strategic planning and monitoring of school systems. 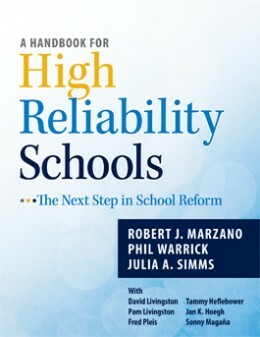 Learn and explore the critical commitments for schools at each level of high reliability. Explore survey data systems to gather baseline information for school leaders regarding each level of high reliability schooling. 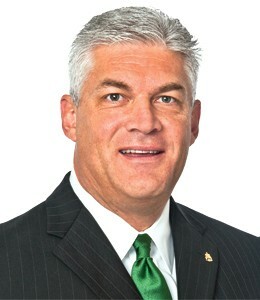 In order to receive the discounted hotel room rate, please mention Marzano Research. Events reach capacity quickly. Please confirm your registration before making travel plans.